There was much excitement in the house when our Hatchimal from Spinmaster arrived! And they were pleased to see it was a glitter Hatchimal. 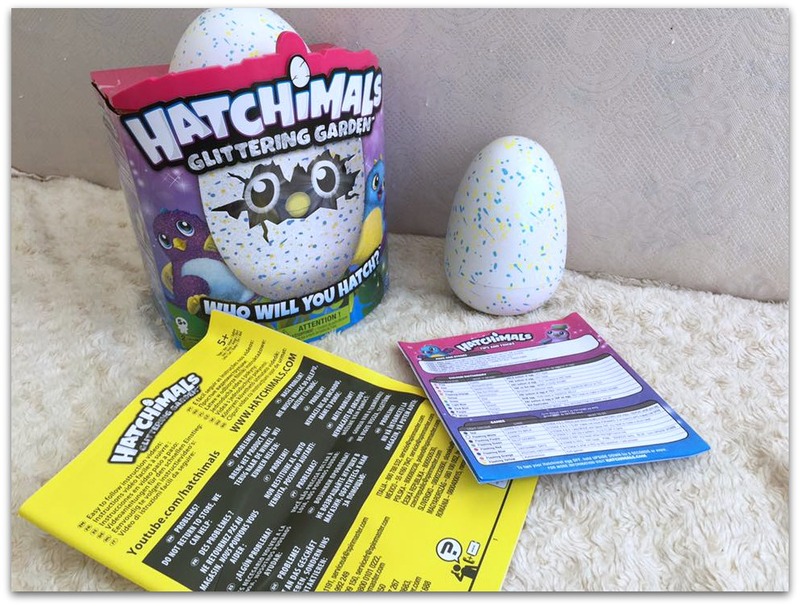 The glitter Hatchimal is the same as the original Hatchimal; it simply has a glittery egg and a Hatchimal who is shimmery! Of course the girls wanted to hatch it straight away. 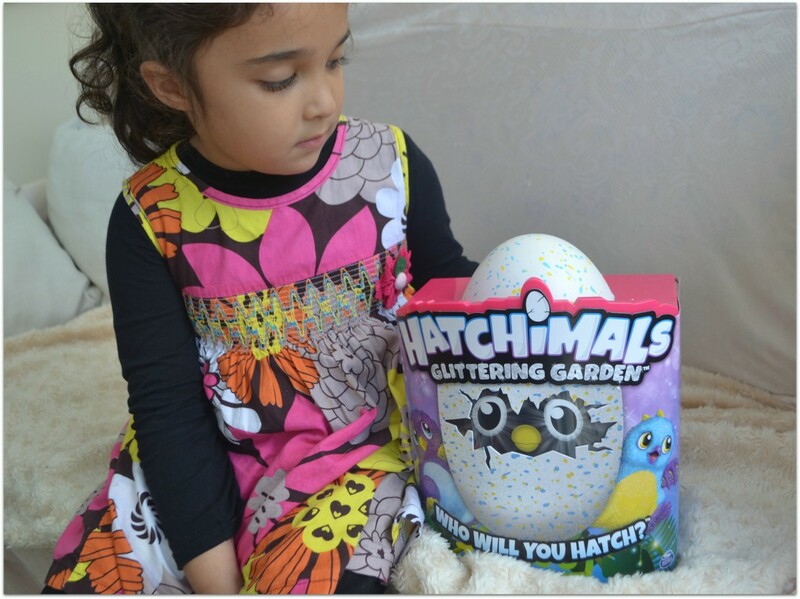 Along with the egg itself you can a guide of what the Hatchimal can do and also what the colours of its eyes mean; the colours are indicative of its mood and what it needs. The egg itself is pretty fragile so you have to be careful of it. If you manage to break it before it has hatched then you completely miss the hatching experience. Once you remove the egg from the box and also a base which is what stops it from hatching, you then have to look after the egg and play with it to get it to hatch. As soon as you remove the egg from all the packaging you can hear noises from within the egg. Bee was so excited to hear the Hatchimal and just couldn’t wait for it to hatch! You could also see the lights in its eyes flashing through the egg. 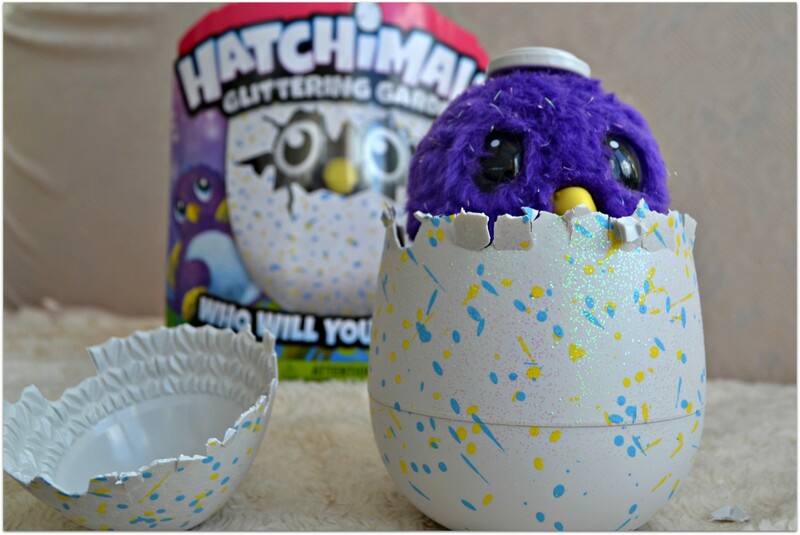 It takes the Hatchimal around 15-20 minutes to hatch. 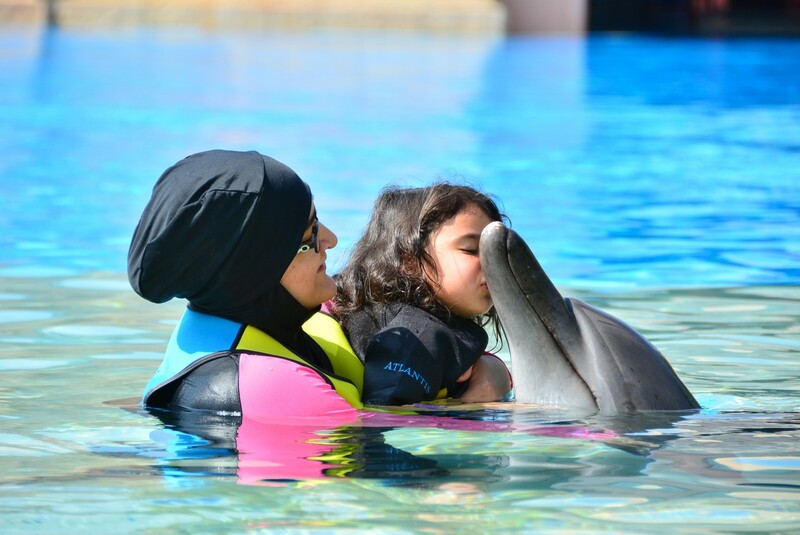 As the hatching is one of the main unique points of the product it would have been nice if it lasted a bit longer…..but then the problem with that is whether the child would remain interested if it carried on for too long? Bee was fascinated by the whole process so I think she would have been happy if it had gone on slightly longer. Ours started hatching after about what felt like 10 minutes. Bee was so excited when the Hatchimal started ‘pecking’ away at the egg to get out; her excitement was pretty infectious and we all couldn’t wait to see what came out! It did struggle at one point and we had to break a small piece away for it to keep moving. And once it had broken through you had to help remove the top part of the egg. Once it is hatched you have to pull it out of the egg. That does require a strong pull and I was worried I would break it…..but it is pretty sturdy! How cute is the Hatchimal?? The thing with Hatchimals is that you don’t know which one you are going to get. There are different colours so it is a complete surprise when they hatch. Once it has hatched the Hatchimal goes through various stages: Baby, Toddler and Kid. You know the Hatchimal is ready to play when it sings ‘Hatchy Birthday’ and that is when the fun begins! Baby Stage: Care for me. Nuture and take care of the Hachimal’s needs. Toddler Stage: Teach me. Teach your Hatchimal to walk, talk and dance. Kid Stage: Play with me. Unlock 4 games which are only available in stage 5. The girls absolutely loved the Hatchimal; I think for them the hatching part was the most exciting, especially for Bee! Once it had hatched the girls had fun trying to get it from baby to toddler; I did feel though that it moved onto the toddler stage relatively quickly. They have already reached the kid stage too and have been playing games with it…but once that stage gets reached the novelty wears off slightly. However they are still playing with it occasionally and Bee has taken it to her grandparents house with her a few times. 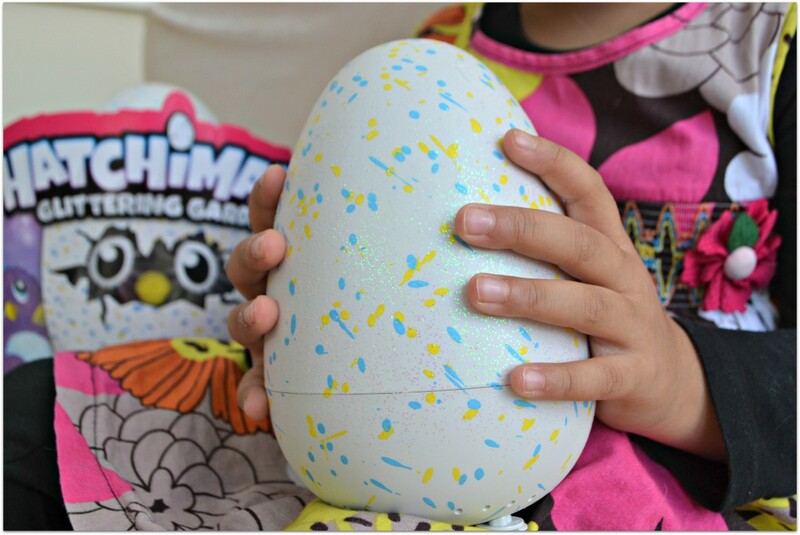 Disclosure: We received the Hatchimal for the purposes of review. However all thoughts and opinions are our own. This post also contains affiliate links. 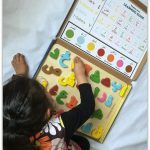 Such a cute toy and a great for children to learn about how we develop from babies. These have passed me by as my boys are older – I think they would love the hatching though. The glitter does make it extra special doesn’t it. Such a cute toy. 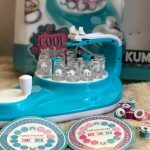 These are so cute and toys have certainly come along in the last few years! 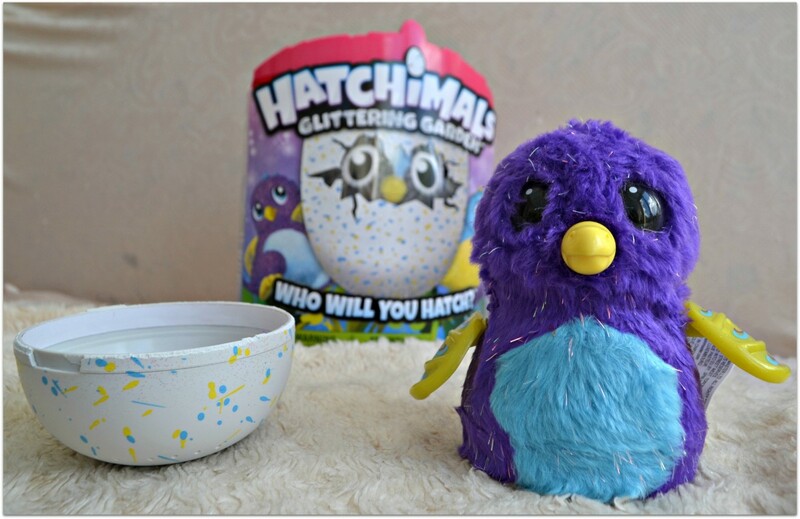 A glitter Hatchimal is right up my street! Oh, he is adorable, we LOVE our Hatchimal!